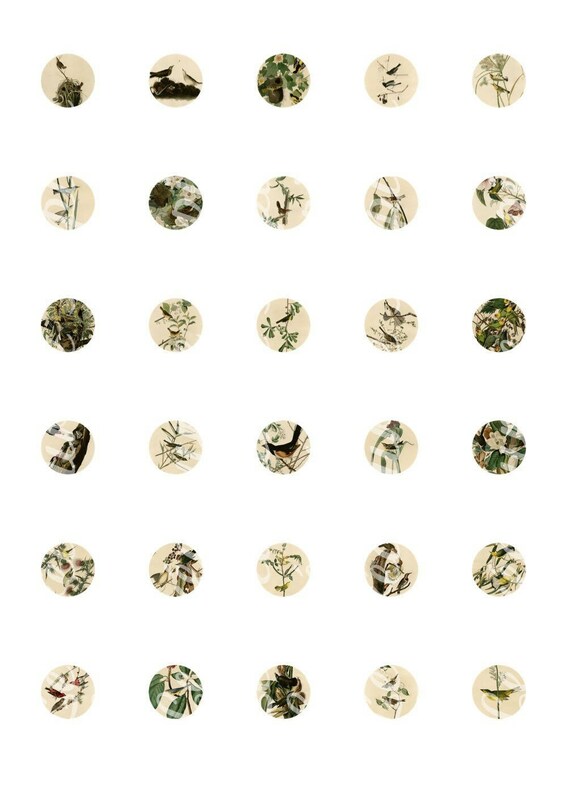 Digital images for your cabochons or other creations (scrapbooking, etc). 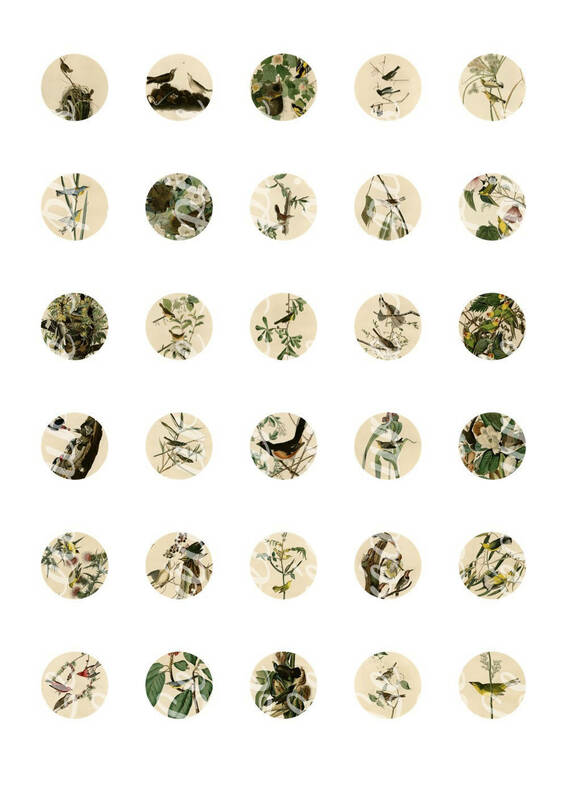 30 different patterns available in 6 sizes: 5 boards containing 30 round images for cabochons 30, 25, 20, 18 and 14mm and and 1 embroidery sheet with square images for more flexibility 35mmm (allows you to frame yourself your cabochons in the picture). A total of 180 exclusive high quality Images (600 dpi). The quality is higher than the images on the screen. 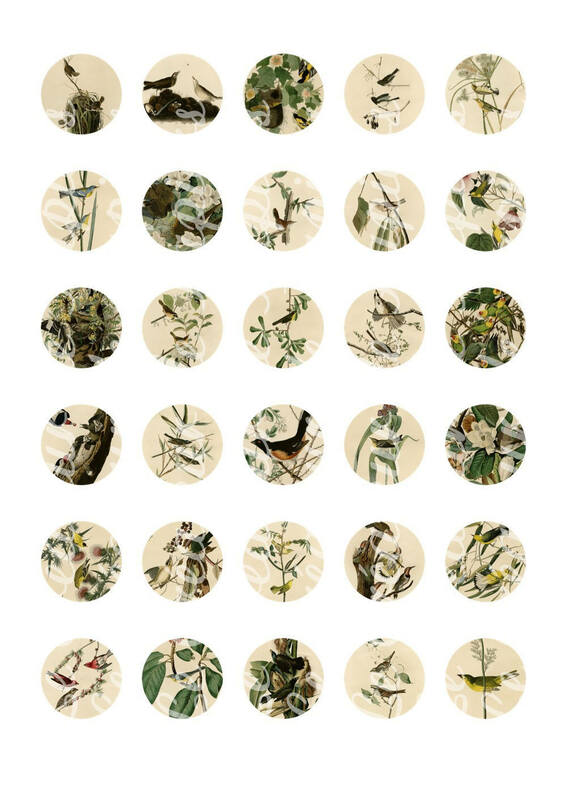 The illustrations are from the book "The birds of America", published between 1827 and 1838. 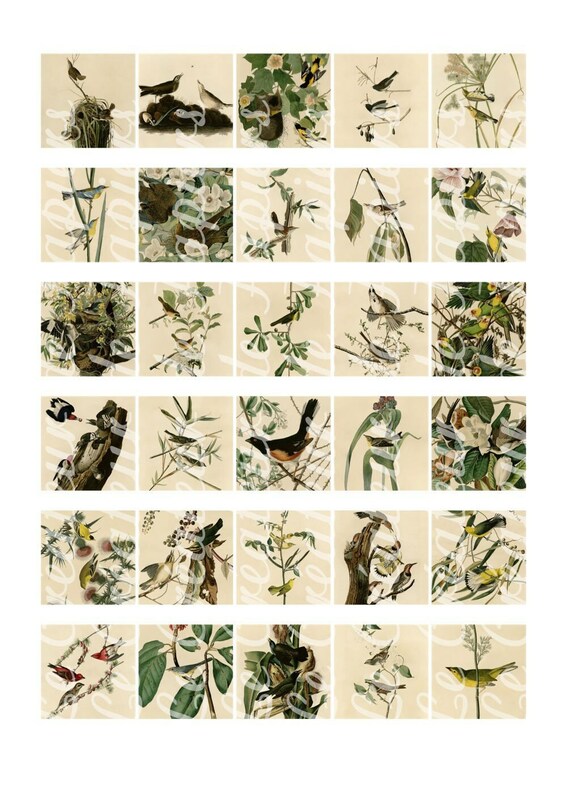 This book is the work of the ornithologist, naturalist and American painter of French origin Jean-Jacques Audubon. 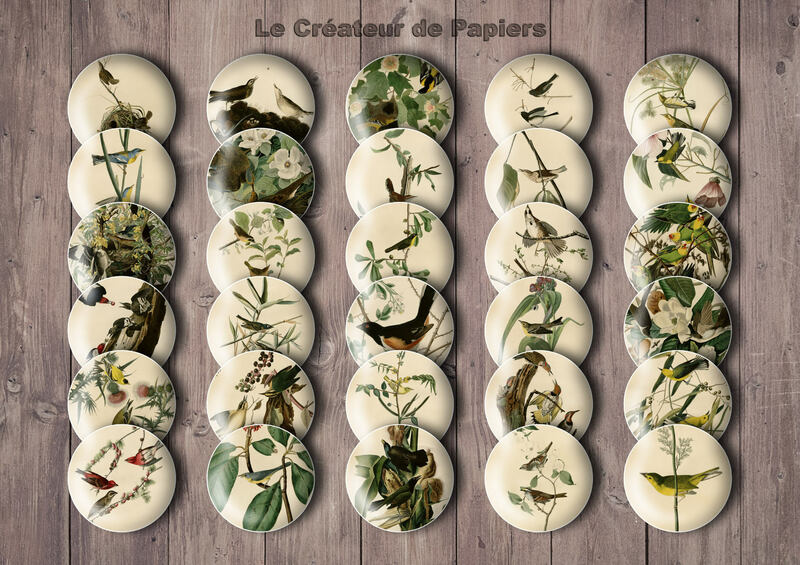 The images have been restored and cropped to fit the cabochons.
. The images on these boards are royalty free. A link to download the files will be sent via email within 12 hours (max.) following the payment. BE SURE TO INCLUDE YOUR EMAIL WHEN ORDERING.